Although this is only our second “Third Thursday Discovery Feature,” maybe some of you are sensing a theme. Like baseball cards, comic books are a fairly distinct part of 20th century America’s ephemeral culture with a unique and dynamic history. While initially popular with children, as the contents of comics have changed and evolved throughout the medium has gained followers of all ages and secured lifelong fans. It may be a surprise for some to learn that comics were already being published in America during the 19th century. American comics first became popularized in the strip format, achieving widespread viewership in the later 19th century with the increase of daily, illustrated newspapers. It was these early newspaper comic strips that would establish many of the traditional thematic and artistic conventions (panel format, speech bubbles, recurring characters) and genres (family-centric, adventure, western, comedy, etc.) we are still familiar with today. For example, published in 1897 as the first self-proclaimed “comic book,” The Yellow Kid in McFadden Flats by Richard F. Outcault was a hardcover, 196-page collection of “The Yellow Kid” reprints, which had originally been featured in the New York World and the New York Journal. Interestingly, through the association with the Yellow Kid comics and their unique sensationalist journalism style, Pulitzer’s World and Hearst’s Journal became known as the “yellow kid papers,” a term which would later evolve into “yellow papers,” and give rise to the concept of yellow journalism. In the early 20th century many new daily newspaper comic strips were developed including Mutt and Jeff (1907), Krazy Kat (1913), Gasoline Alley (1919), Little Orphan Annie (1924), and Blondie (1930). The proliferation and popularization of such strips lead to the standardization of the Sunday comics, a weekly newspaper section often printed in color featuring a number of different comic strips often referred to as the “funny pages” or just the “funnies.” The first significantly successful comic book came in 1933, with the publication of Funnies on Parade, an eight-page collection, which featured reprints of well-known syndicated comic strips. The next major revolution in the American world of comics would come in 1938. 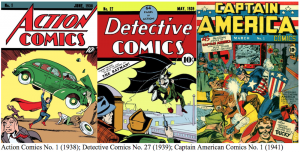 Comic(s) historians often view the 20th century in terms of different eras, each with distinct features, thematic conventions, and artistic styles epitomized by the success of particular comic book series and specific characters. The first of these definitive periods is know as the Golden Age and is generally considered to have begun in 1938 with the introduction of Superman in Action Comics No. 1. Before the creation of Action Comics, National Allied Publications was known for their crime series Detective Comics (in fact, the publishing company would eventually change their name to DC Comics in 1977, reflecting the success of the series). After the debut of Superman, the company premiered a new hero in 1939’s Detective Comics No. 27. Although he lacked superpowers, the masked crime fighting vigilante Batman would prove to be just as popular as his earlier counterpart and together Superman and Batman gave rise to a new genre that would take the comic book world by storm. Many of the superheroes we known and love today, including Wonder Woman, Captain Marvel, Green Lantern and Flash, can trace their origins to the Golden Age. It was this period that also gave rise to Timely (later renamed Marvel) Comic’s Captain America, a patriotic super soldier. Published in 1941, the cover of Captain America Comics No. 1 featured the new superhero punching Hitler in the face. The Golden Age can perhaps be best understood as being characterized by simplicity, and later patriotism. In the early “superhero” series there were clear dichotomies between right/wrong and good/evil and this was later extended to the contemporary global crisis of World War II, with American superheroes triumphing over the Axis Powers villains. The obvious moral distinction between heroes and villains also influenced the artistic style of Golden Age comic characters, with good guys portrayed as clean-cut, masculine, American do-gooders and bad guys portrayed as sniveling, treacherous monsters — physically, mentally and ethically reprehensible – visibly inferior. After WWII, interest superheroes waned; instead kids looked to other comic book genres such as westerns, humor, horror, thrillers, and even romance for entertainment. In 1954, the Comic Code of Authority (CCA) was established by the Comics Magazine Association of America in response to increasing concerns over the violent and gory content of crime and horror themed comic books. The Code required comic books to pass pre-publication reviews to ensure that each issue was in compliance with the new standards, which prohibited moral ambiguity, excessive violence and gore, as well as unsavory content in general. The Silver Age is often seen as beginning in 1956 with Showcase No. 4 which featured Flash and constituted the first popular superhero comic book since the Golden Age. Because of Flash’s success DC Comics brought back many of its Golden Age heroes, reworking their characters and adding some new ones to the mix and creating one of the first super-groups, the Justice League of America. It was also during this period that Marvel rose to prominence, also introducing superhero teams like Fantastic Four, The Avengers, and the X-Men. Many of the different authors, illustrators, and even publishers who defined the Silver Age (including Julius Schwartz, Gardner Fox, Jack Kirby, and most famously Stan Lee) would come to be known as pioneers within the genre. As comics increased in popularity and the industry became more lucrative in general, the cheap, garish colors and cartoonishness of the Golden Age comics were replaced by more interesting, sophisticated looks as artists were able to represent their characters artfully, with more thought and detail than ever before. Although compliance with the CCA required comic books to feature strictly age-appropriate content for children, resulting in more light-hearted, even silly or goofy storylines, the Silver Age was also characterized by an increasing interest in the role of space, science, and technology in the world of superheroes. Series took place in outer space and featured alien characters; transformation storylines created both heroes and villains, giving rise to some of the most popular characters of all time. Bruce Banner, a scientist better known as the Hulk, was one of the first reluctant heroes of the genre, while the teenage Peter Parker when bitten by a radio active spider and turned into the web-slinging Spiderman, showed young audiences that anyone had the potential to be a superhero. 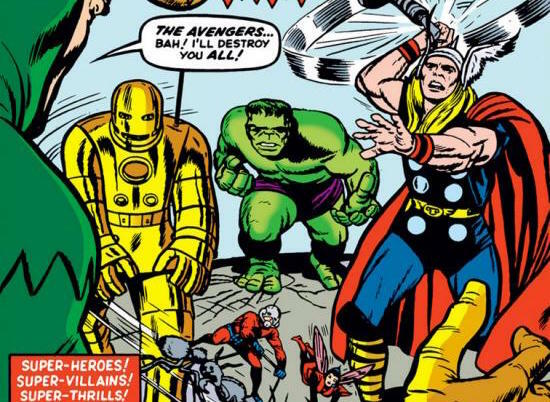 Comics historians have different ideas about what exactly constituted the end of the Silver Age, but many agree that the transition into the Bronze Age of comics occurred around 1971, when Jack Kirby left Marvel Comics to begin working for DC. 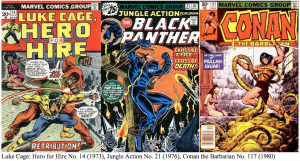 The Bronze Age is often seen as a period in which comics strived for increased cultural relevance and began to deal with more serious topics such as substance abuse, racism, equal rights, and even environmentalism. The X-Men series used mutants as a metaphor for minorities. New heroes like Spider-Woman, Ms. Marvel, and She-Hulk were promoted in support of gender-equality and female empowerment. This period also saw the emergence of Luke Cage in 1972, the first black superhero with his own independent series. One year later the Black Panther was given the starring role in the series Jungle Action. While such representations were still fraught with ignorant stereotypes, many of these new titles and characters showed the comic book world’s attempts to move in the right direction with an increased sensitivity to representation and socially relevant subject matter. The move towards realism in subject matter was also reflected in the artist style of Bronze Age comics. More fully developed detail and an increased interest accuracy served to enhance the true-to-life feel of the comics. Characters were more frequently represented in casual, street clothing rather than spandex and tights. Backgrounds were given more attention and renderings were executed in a more photo-realistic style. The publication of comic book adaptations of popular movies such as Star Wars helped to promote an overall more cinematic style in comic book illustration. 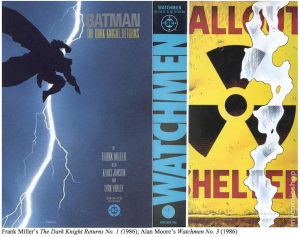 Perhaps the most difficult era to define succinctly, the Modern Age of comic books is generally regarded as having begun in 1986 with the publication of Alan Moore’s Watchmen and Frank Miller’s The Dark Knight Returns, both limited series featuring significantly darker themes, more psychologically complex characters, and complicated storylines. It is for this reason that the Modern Age is sometimes independently referred to as the Dark Age. Due to an increasingly serious, adult-oriented subject matter, this period saw the emergence of many new independent comic book publishers and the abandonment of CCA approval, as fantasy and horror genres resurfaced with series like DC’s Swamp Thing and Neil Gaiman’s The Sandman. While more morally grey characters and the concept of the conflicted hero (such as X-Men’s Wolverine and Daredevil) became popular during the 1970s, the Modern Age took the idea reluctant hero one step further as the anti-hero rose to prominence with the likes of Hellblazer’s John Constantine and Marvel’s Venom and Cable while classic villains like the Joker and Magneto were represented more sympathetically. Predictably, the artistic style exhibited in comic books of the Modern Age mirrored the new darker themes and characters featured in the stories. New independent companies not only gave individual artists greater freedom to explore unique personal styles, but their rejection of CCA standards opened up an entire world of mature representation that comic book artists had previously been barred from exploring. Firmly situated in the late 80s and the 90s (with some seeing the period as continuing to the present day), the Modern Age witnessed perhaps the greatest transformation of the comic book industry with the development of the graphic novel and the movement of popular comic book characters and storylines from print media to the big screen. Film drastically increased the audience, brining more people than ever before into the world of comic books. While Batman dominated the 1990s, the early 2000s saw the film debut of a number of popular comic book characters including the X-Men (2000), Spider-Man (2002) Daredevil (2003), Hellboy (2004), and Fantastic Four (2005). Not a comic book reader myself, researching and cataloging for our Third Thursday sale constituted my first real, hands-on experience with comics and what initially struck me what their sheer graphicness — the vibrant colors; the dark hard defining lines; the action and the movement not just of the characters but of the viewer’s eye from panel to panel, page to page, consuming images and words, superhero storylines, and retro advertisements all in one visual gulp. While certainly executed with efficiency and legibility in mind, the illustrations are more than cartoons with “edge.” Each individual panel is like a piece of art: vivid and dynamic, full of tension and expression, able to communicate an underlying narrative. The incredible stories and mesmerizing imagery at the very heart of comic books as we understand them is the absolute culturally captivating power of entertainment. Given the generally young audience of comic books,these printed periodicals from the 40s, 50s, and 60s functioned as precursors to popular television programs and eventually blockbuster movies. It is easy to understand the joy and excitement a kid would have experienced reading a new comic book and the captivating effect of these superhero characters. The Walt Disney Company’s interested in capitalizing on the ready-made, iconic characters and story possibilities of superhero comics was understandable. Disney’s purchase of Marvel Entertainment in 2009 cemented the future of the cultural and commercial powerhouse that has become known as the Marvel Cinematic Universe (MCU). Strategically executed in a different phases beginning in 2008 with Iron Man, the MCU brings an array of Marvel superheroes together into a single universe, intertwining seemingly disparate plots across multiple forms of media (most notably film and television, but also new digital and printed comic books). Films in the MCU include Thor (2011), Captain America: The First Avenger (2011), The Avengers (2012), Guardians of the Galaxy (2014), Ant-Man (2015), Doctor Strange (2016), Spider-Man: Homecoming (2017), Black Panther (2018), and Captain Marvel (2019), with the characters from these different movies coming together in a number of different “Avengers” movies. Other Marvel heroes such as Daredevil, Jessica Jones, Luke Cage, and Iron First have been featured in their own television series and are also considered part of the MCU. It is tempting to say that no American media franchise has ever been as all-encompassing and culturally overwhelming in such a short period of time. 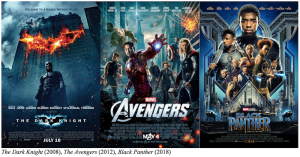 Together with the success of DC Comic’s film enterprises such as Wonder Woman (2017), Man of Steel (2013), and Christopher Nolan’s Dark Knight Trilogy (2005, 2008, and 2012), the MCU has brought an unprecedented audience to the world of comic book superheroes. Old comic book fans have been reinvigorated and new fans, young and old, have been created. Witherell’s is pleased to offer a collection of hundreds of comics spread across over fifty different lots in our April Third Thursday Auction. 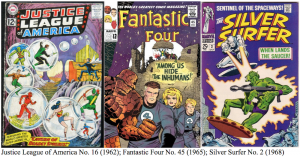 All of these comics were printed by Marvel, most date from the Silver and Bronze Ages and include many beloved classic series such as the Fantastic Four (1961-2015), the Avengers (1963-1996), X-Men (1963-1981), and the Amazing Spider-Man (1963-1998) as well as some lesser known gems, The Sub-Mariner (1968-1974), The Silver Surfer (1968-1970), and the satiric comic, Not Brand Echh (1967-1969). Whether you’re young or old, an long-time comic book lover or a new fan, there is a superhero for everyone and a whole fantastic world to dive into!